The Lane Cove Cats is a junior football club. We promote a positive, family-friendly environment welcoming all parents and volunteers to the club. Read more about our club or click here to contact our committee. 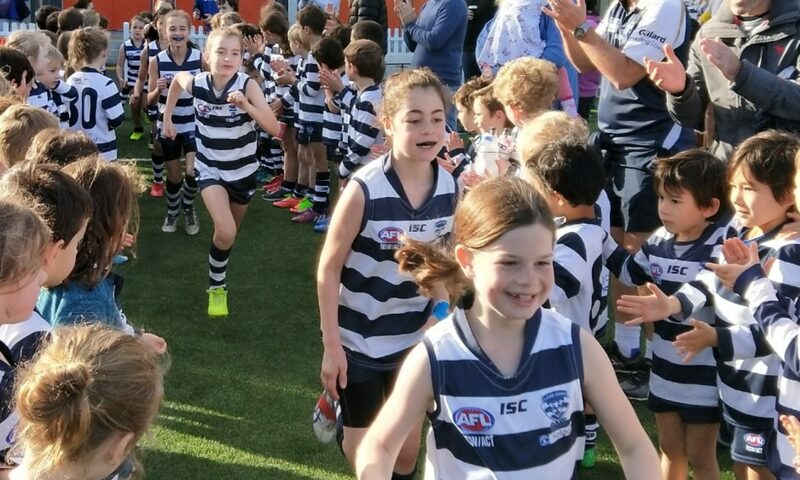 Auskick program provides boys and girls (aged 5 to 8) with a fun and safe Australian Football experience that serves as an introduction to the game. Auskick sessions are run every Sunday at the Blackman Park in Lane Cove West. Sessions will start at 8am, although we encourage everyone to get down to the ground at 7:45am to warm up. The Lane Cove Cats play in the Greater Sydney Juniors AFL competition. We have teams playing in age groups up to U17. This includes youth girls teams in the U10, U12 and U15 divisions. Competition training sessions are run on Wednesday and Thursdays after school at Blackman Park Ovals 3 & 4. All competitions are held on on the new synthetic oval (Blackman Park No 1 & 2). The majority of games are played on Sunday morning, with some games on Friday night under lights. AFL 9s is the AFL’s social version of the game. It’s a fast, free-flowing game that involves 9 players on each team playing on a smaller field. Best of all, it’s ‘touch football’ with no tackling or bumping, making it suitable for people of any age or skill level. Importantly, AFL 9s is easy to play, not too physically demanding and provides an environment where fun, enjoyment and safety are a priority. AFL 9s enables people of all ages and ability levels to participate in male, female or mixed competitions that fit around their busy lives and provide a social and fitness outlet.